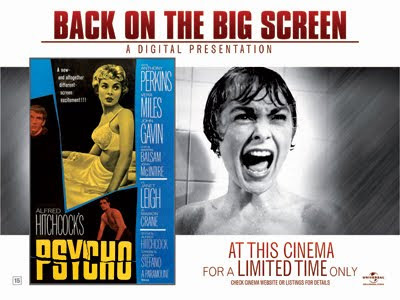 CARE International has joined forces with the Empire, Leicester Square, to present a special gala screening of Alfred Hitchcock’s seminal classic, Psycho, with its iconic score by Bernard Herrmann. Released in 1960, Psycho changed everything – pushing the boundaries of screen horror and delivering some of the best known scenes in all movies. Herrmann’s score, written only for strings, is simply one of the greatest film scores ever created. This screening is a rare opportunity to experience Psycho on one of the biggest and best screens in the country – and raise money for CARE International. Many of the composers appearing in the Concert for CARE will be present at the Empire and will take part in a unique mega-Q&A after the screening, discussing Herrmann’s score and looking back on film music in the last 50 years. There will also be a chance to meet the composers and our other very special guests to get signed CDs and DVDs. A rare opportunity to see Hitchcock's seminal classic on one of the biggest and best screens in the UK. Released in 1960, Psycho changed cinema forever, pushing the boundaries of screen horror and providing some of the best-known scenes in all movies. Bernard Herrmann's visceral score is simply one of the greatest film scores ever created. A larcenous Phoenix real–estate secretary Marion Crane (Leigh) picks the wrong place to spend a night: The bates Motel (12 cabins, 12 vacancies, 12 showers), run by a peculiar young man (Perkins) and his crotchety old ‘mother‘. Based on Robert Bloch‘s novel, the film‘s numerous set pieces remain unsurpassed (the superbly edited shower sequence, storyboarded by Saul Bass is one of the most influential in film history), with the film having accrued the reputation as the master of all suspense movies. This screening forms part of David Arnold's Concert for CARE, a major event at the Royal Albert Hall on October 18th featuring some of the biggest names in film music. Many of the composers, including David Arnold, John Ottman, Harry Gregson-Williams, John Powell, George Fenton, Rachel Portman and Dario Marianelli will also attend the Psycho screening and will take part in an exclusive Q&A on film scoring following the Psycho screening.